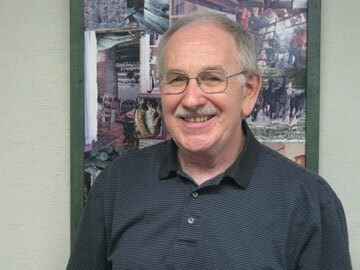 John Sherman has been a professional writer and photographer for several decades. He writes and publishes poetry, fiction, creative nonfiction, and humor. He is the author of nine books. He has published dozens of poems and short stories in literary magazines and anthologies. He has been a newspaper columnist, syndicated travel writer/photographer, features writer for newspapers and magazines, and editor of two magazines. He has received numerous prizes and awards for his writing and photography. The manuscript for his book, Marjorie Main: Rural Documentary Poetry, earned him a Finalist position in the Walt Whitman Award competition of the Academy of American Poets; he received the New Mexico Governor�s Award of Honor for Historic Preservation for the first edition of Santa Fe: A Pictorial History. John has been awarded four Individual Artist Program grants from the Indiana Arts Commission. As a result of receiving a Creative Renewal Arts Fellowship from the Arts Council of Indianapolis, he wrote the libretto for the opera Biafra. A portion of the opera was performed in 2006 (available here), with the score composed by Nathaniel Blume, who also conducted the orchestra for the performance. The opera was based, in part, on John�s experiences in the Nigeria-Biafra Civil War where he worked with the Red Cross in Lagos and, later, with a food/medical team near the front lines. He has also lived in Malawi, Ghana, and then-Zaire, as well as Washington, D.C., and Santa Fe, New Mexico. His poetry about his varied experiences has been used for his large-format posters that also feature his photography. The posters have been exhibited in many venues. 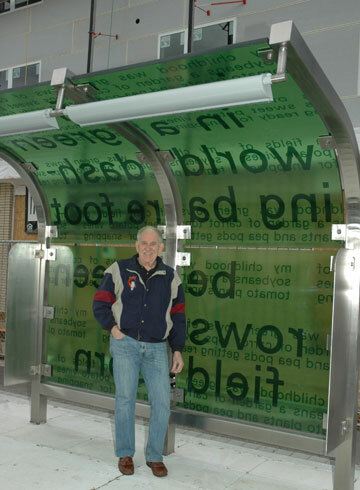 One of his poems, �A Bowl of Possible Peas,� was selected as the subject of a bus stop designed by architect Donna Sink and placed along the Indianapolis Cultural Trail. In 1991, he founded Sherman & Co. Public Relations in Indianapolis. He earned a B.A. in English and Journalism from Indiana University and did graduate work in African Literature at the University of Ghana. He also holds a certificate in French studies from the Alliance Fran�aise in Kinshasa, Zaire. He is a member of Authors Guild, PEN American Center, and ASCAP, and is listed in Marquis� Who�s Who in America.